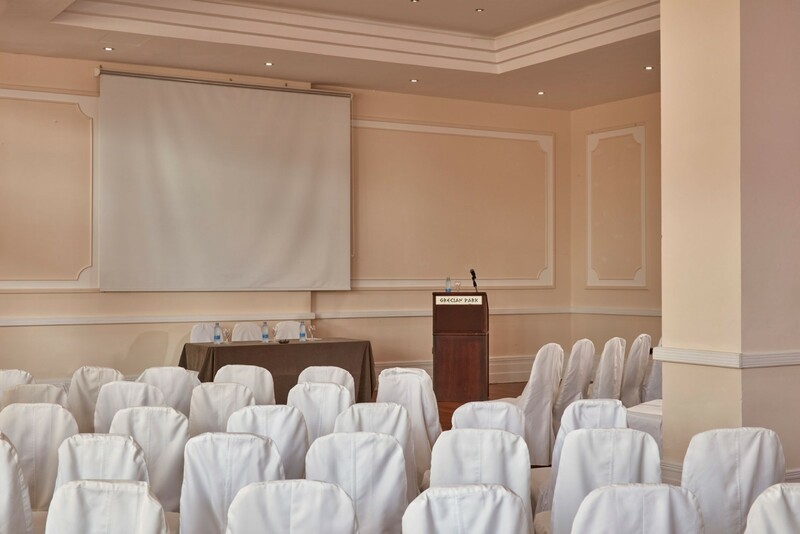 Amidst the exotic surroundings of Cape Greco, the Grecian Park Hotel also caters to the conference, incentive and banqueting market. Our expertise in the field will ensure that your event will run as smoothly and efficiently as possible. The George Seferis room is located on the ground floor and is in a quiet location. This room can be sub-divided into 2 rooms and offers blackout facilities. 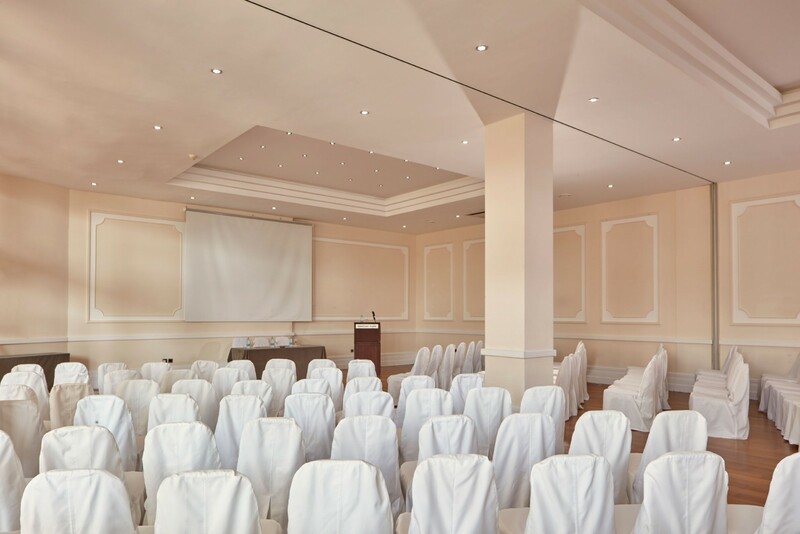 Fitted with parquet flooring and high ceilings, the George Seferis room is an ideal meeting room as its doors open onto the corridor of the grand foyer making your coffee break or lunch recess a quick walk away. Our Horizon Suite is located on the first floor overlooking the Protaras coastline. It offers natural daylight however it is fitted with blackout curtains. The Horizon Suite can be sub-divided into various room sizes. 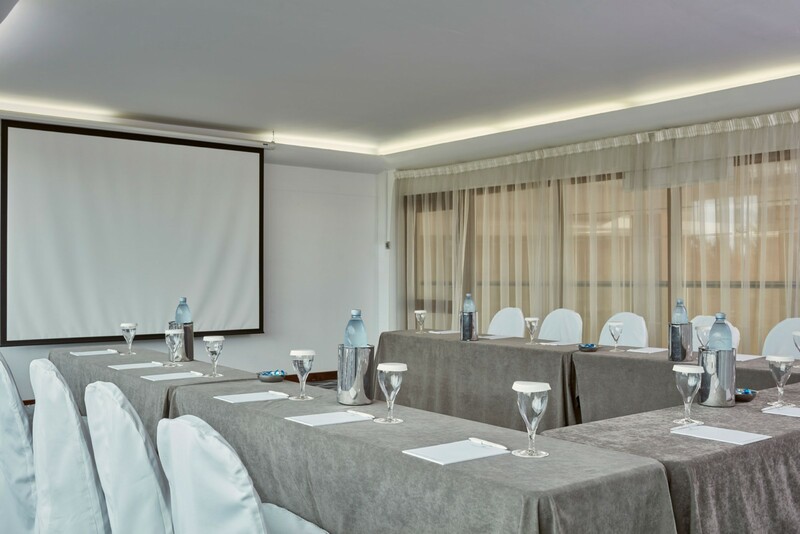 This meeting room caters to the smaller size groups and is set far away from the hustle and bustle.